GULF INDUSTRY FAIR 2018 February 6 to 8 Gulf Industry Fair covers the key industrial segments including aluminium, machine tools, industrial equipment, automation, steel, energy, logistics and manufacturing. 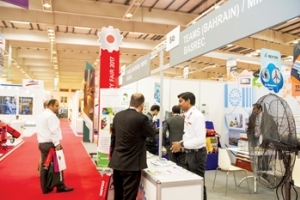 Gulf Industry Magazine updates you with the latest calendar of events from the Middle East. FEBRUARY 2018 1-2: 2nd Annual Third Party & Supply Chain Cyber Security Summit, Frankfurt, Germany 5-9: NAPE Summit Week -Energy & Environment, George R.